We equip aspiring bassoonists with the skills to discover their potential and emerge as empowered young professionals. Using individually-tailored plans for technical, mental, and artistic development, we aim to become outstanding performers, teachers, and scholars contributing to the dynamic field of 21st century music. I know what it’s like to have a calling and wonder how—or if—I will achieve it. That’s why my goal as a teacher is to give each student the tools to master the instrument and pursue their dreams. 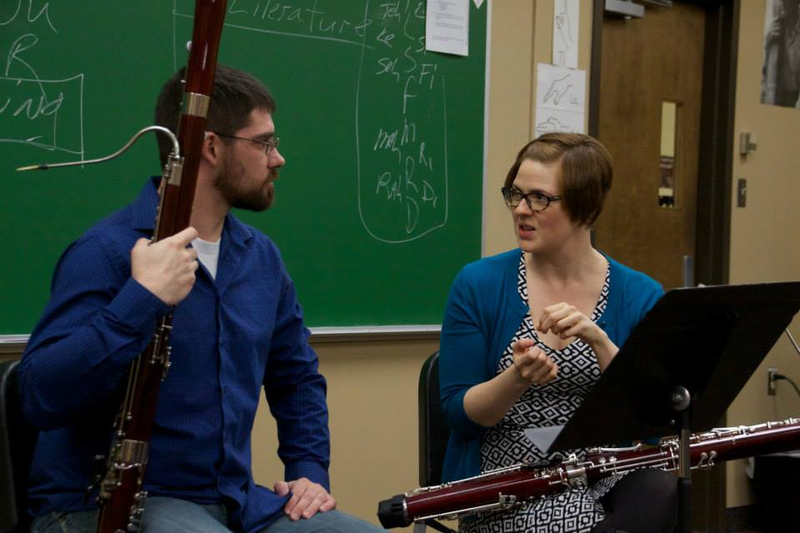 Whether you want to become a teacher, performer, scholar, or music therapist, the WVU Bassoon Studio will provide a supportive network of mentors and peers to help you achieve your goals. WVU graduates are working as orchestral musicians, university instructors, public school teachers, chamber music entrepreneurs, engineers, and arts administrators, and have gone on to attend top graduate programs around the country and abroad.